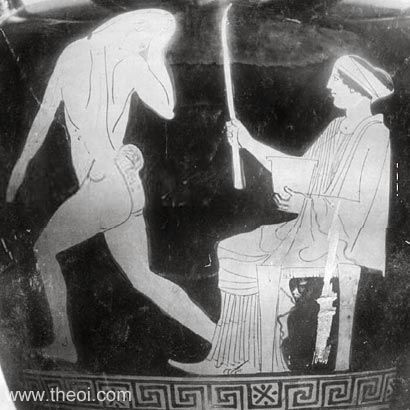 Circe transforms one of Odysseus' men into a boar. The man is depicted partially transformed with the head and tail of a beast. The with is seated on a stool and holds a wand.